The Passyunk Square School Supply drive is benefiting Kirkbride and Jackson Schools. They are collecting supplies and donations to equip students and teachers with supplies they need throughout the year. Donation boxes are around the neighborhood, including ACME (1400 E. Passyunk Ave.) and Alphabet Academy (1506 E. Passyunk Ave.). The drive ends on Saturday, September 10. Our happy hour will be on Thursday, September 8, at Hawthornes Biercafe (738 S. 11th St.) from 5:00 pm to 7:00 pm. With a donation, attendees will get discounts off happy hour special food and drinks–including kid-friendly options! There will also be a 50/50 raffle. 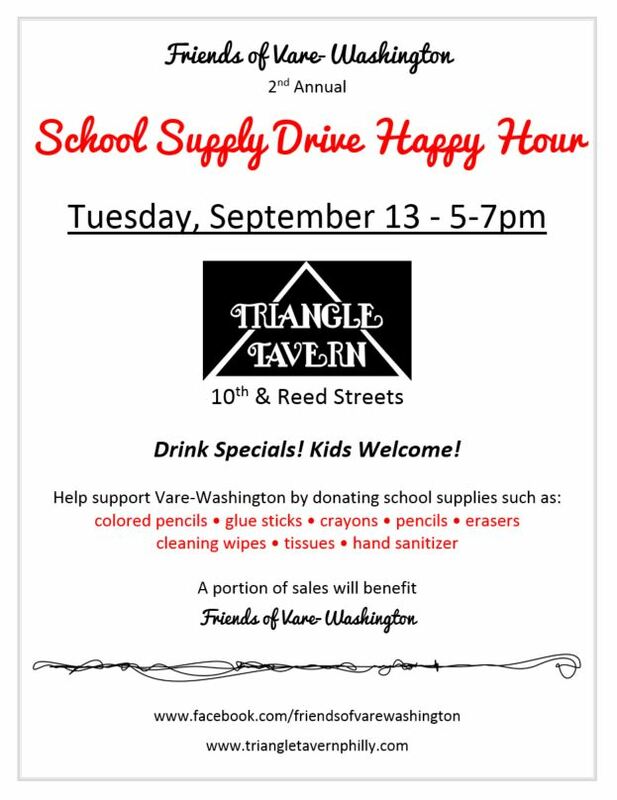 All proceeds will go directly to the Supply Drive and school supply donations can be brought to the event as well. For more information see our Facebook page: @PassyunkSquareSchoolSupplyDrive.